Are you looking for ideas to give your home a new look for less? Maybe you have a small budget and a big wish list! Giving your home a new look for less is easier than you may think. Adding accessories, using paint or wall paper strategically and sprucing up the garden are all simple fixes that will leave your home looking fantastic. 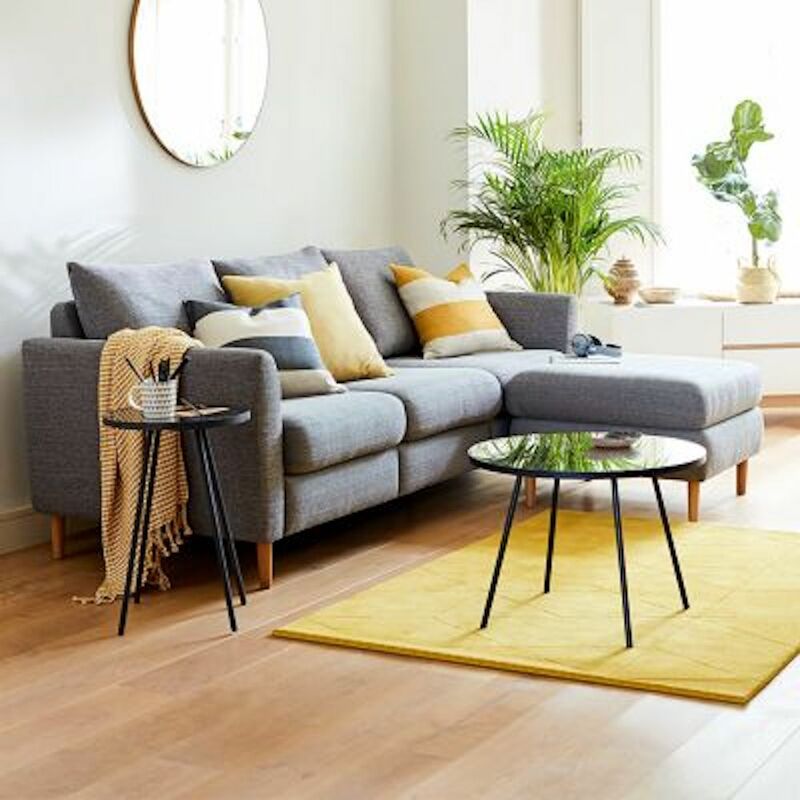 We have teamed up with the new M&S Lifestyle and Living section to bring you 19 handy hacks to give your home a new look for less. 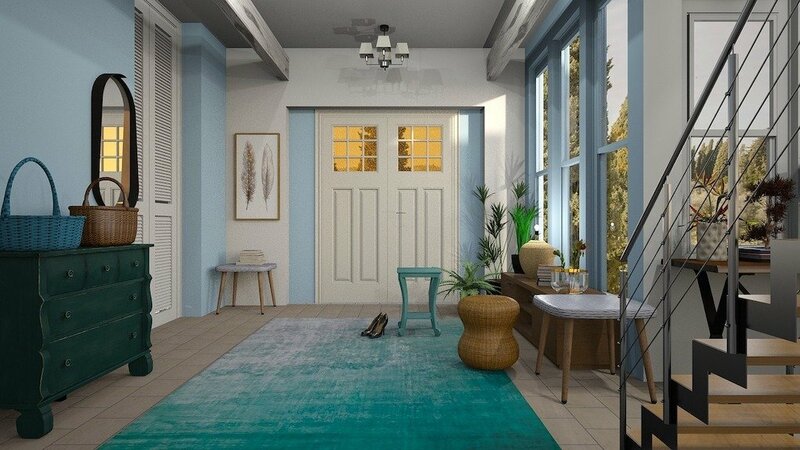 Instantly improve the look of your home by adding a runner to your hall. It has the added benefit of covering up scuffed floors and makes the entrance hall look inviting. Rugs can be be used in any room to give a pop of colour and gives the room a clean, fresh finish. If your budget doesn’t stretch to an original painting, have a look for prints that are unusual or add colour. This is a great way to update your home for less and prints & paintings can be added to halls, along stairs, to bathrooms, sitting rooms and kitchens. 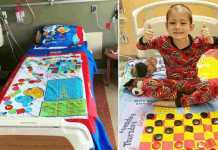 Another good idea is to print and frame some of your family photos and add them to frames to hang on walls. 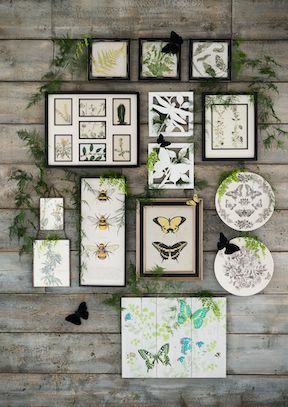 I love the idea of having a long line of photos placed around the centre of a wall in a horizontal strip or using different frame sizes and shapes to add interest. 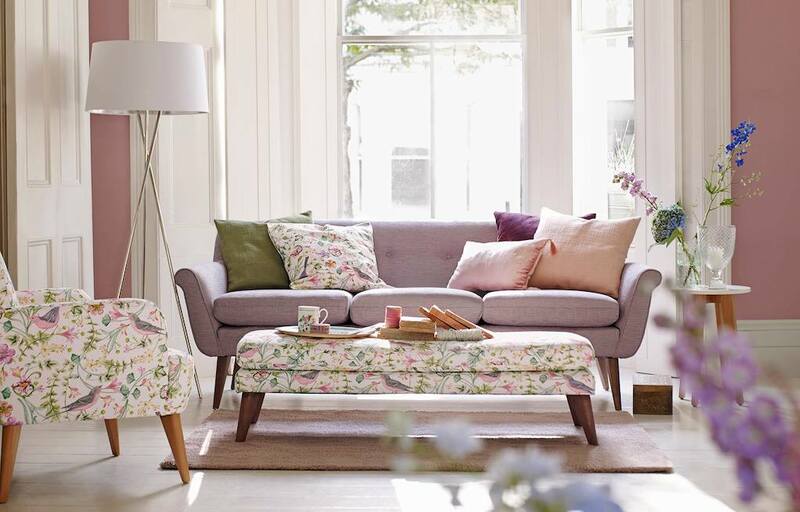 If your sofa or armchairs are looking tired, spruce them up by adding a throw either in the same colour or a different colour. 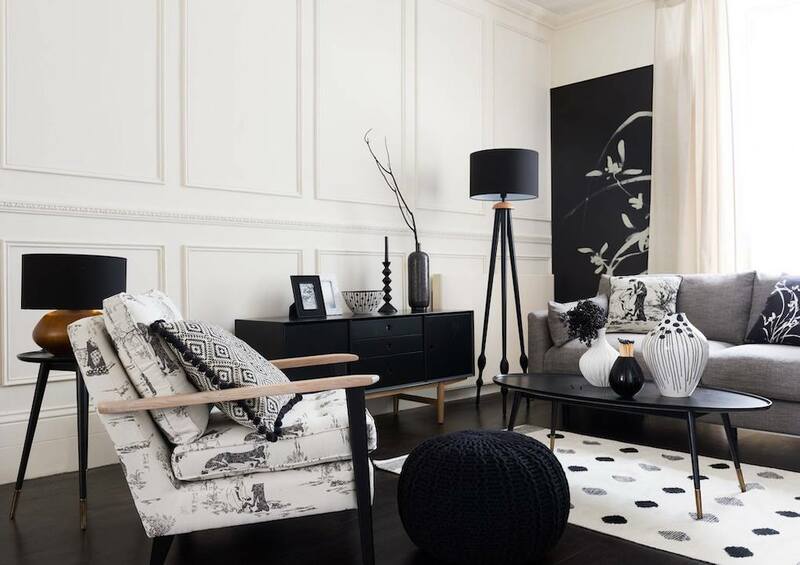 Bold prints are currently in fashion and adding a bold print to your room will show you know your trends. 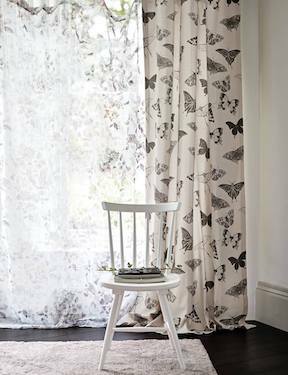 Cushions & throws can also be used to update bedrooms by adding them to beds or try adding seat pads to your kitchen chairs. 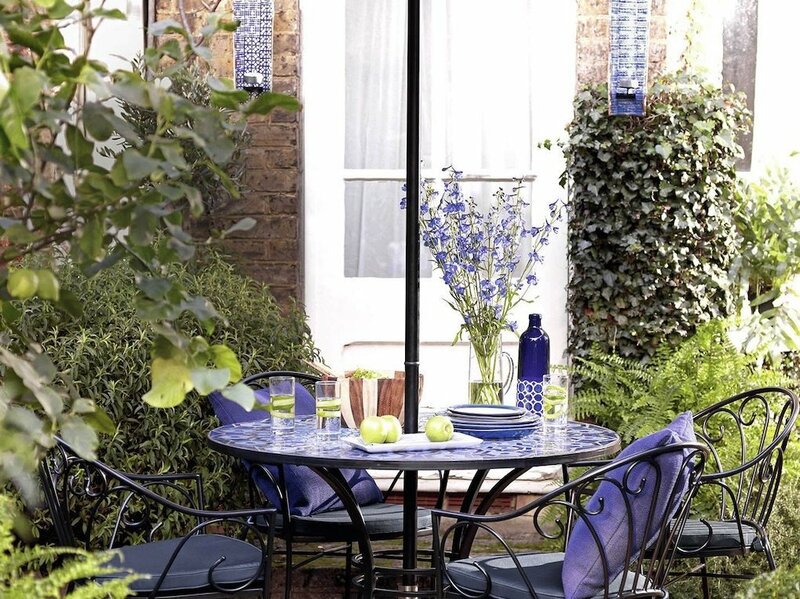 Don’t forget to use them outdoors too to give your outdoor furniture a new look. Framing your windows with new curtains and blinds will instantly give them a smart new look from both the inside and outside of your home. Be clever with colours and designs and look out for sales when you can pick up a bargain. 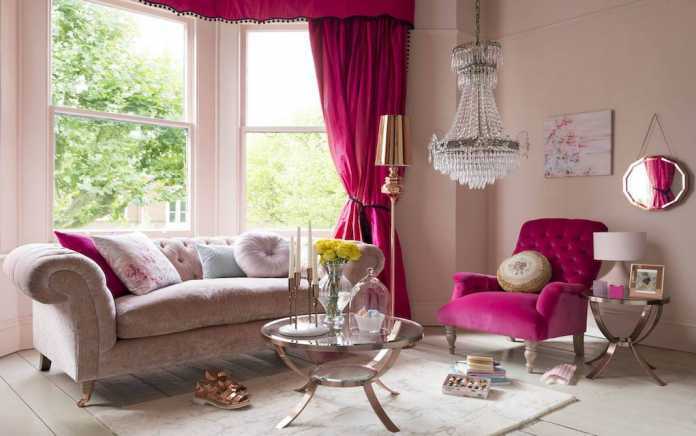 Buying in this way also means you can pick the latest colours and patterns to update your home more often. Tidying up borders and keeping lawns, trees and hedges well trimmed is a really cost effective way of making your home look better on a budget. Consider adding bark chips to larger borders, it can save on the weeding and is a quick fix to improve the look of your border. Adding hanging baskets or pots to the front of your home or the patio area also gives your home a fresh new look. Paint is the most cost effective way to improve the look of your home. From painting tired front doors to garden gates or adding a new colour to walls, cabinets, internal doors or frames, skirting boards and ceilings. You could also consider painting floorboards either with a colour or sanding and varnishing them. If your budget is very limited, you could buy tester pots of the colour you already have on your painted areas and cover up any scuff marks. Creating a feature wall with wall paper is also on trend currently as wall paper is making a come back. You can get some beautiful textured papers to add interest to any room. And remember, wall paper is not just for walls, use it to update furniture like dressing tables, wardrobes and chests of drawers. Seal it with a clear lacquer to ensure it doesn’t peel. Updating your lighting both inside and out can give your home a new look. Whether you add a new central light or use lamps and candles for more subtle mood lighting. In the kitchen consider adding lights under or inside your cabinets and along shelves to brighten them up. For bedrooms add strings of lights around windows or beds. Don’t forget the garden, add solar lights and string lights around patios, fences or in the shrubs and trees to instantly update. It is well know that adding a mirror to a small space instantly makes it look larger. In my hall I have added a mirror that was designed to be hung vertically to the wall horizontally. This helps to bounce light throughout the hall and fills a wall that would otherwise be blank. It may sound obvious, but cleaning your windows can really brighten up your home inside and out. If you have a special occasion coming up, consider getting them cleaned professionally, it can make a real difference to the look of your home. Update knobs on kitchen cabinets, wardrobes and chests of drawers to give them a modern look and feel. 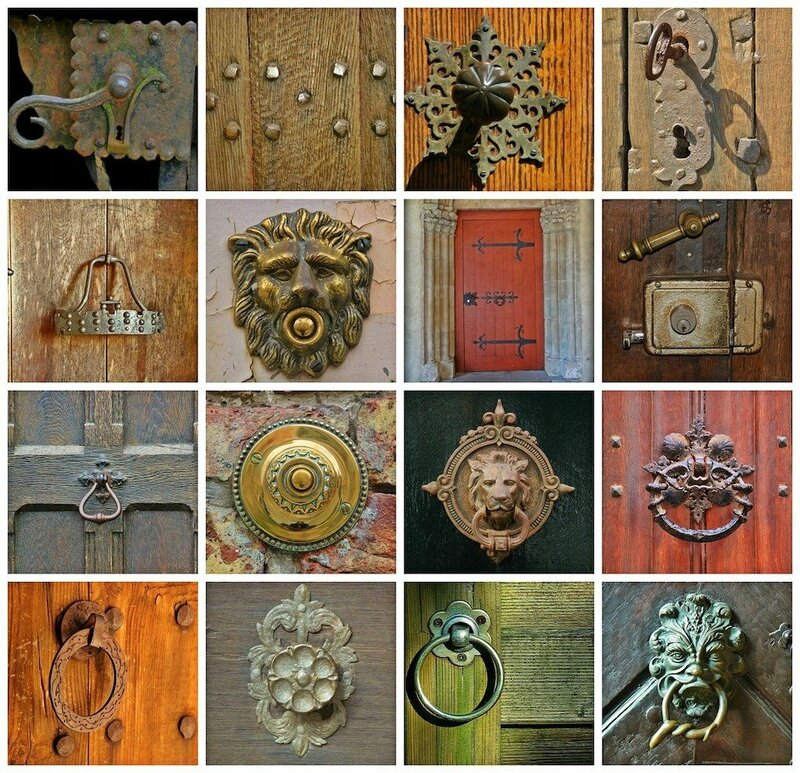 Outside, replace tired door knockers with a new one and add modern font numbers for your home. Decluttering is the cheapest way to give your home a new look. So bag up all those old clothes, games, books, furniture and other items cluttering up your home. You’ll be sure to find items you had forgotten about that can be used around the home. Remember they don’t have to be used for the purpose they were originally intended for. Old wellington boots make great planters, old crockery and tiles could be broken up and used to add a mosaic top to a table or as a frame for a mirror. Let your creative side out and you may surprise yourself with what you can do! M&S work with Oxfam so donate your secondhand clothes in a Shwopping Drop Box. Adding modern fittings can make a big difference to the look of your home. A simple fix to update kitchens and bathrooms is to change the taps. 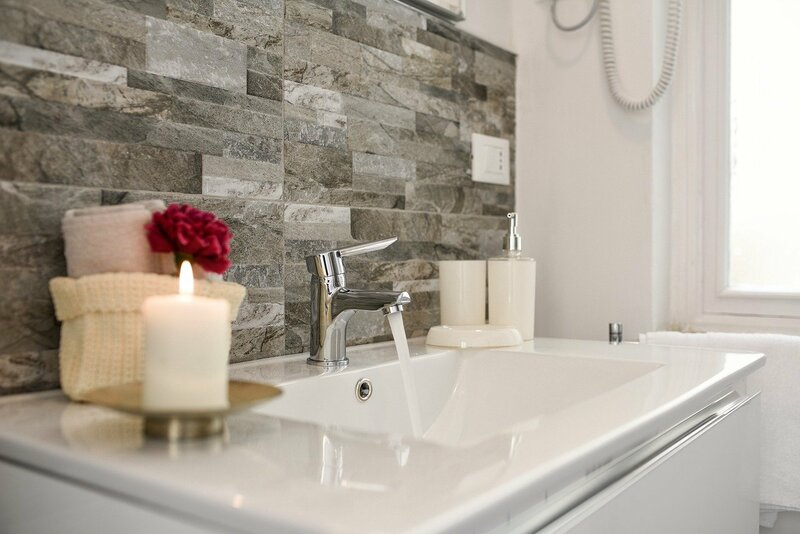 For bathrooms you could also update towel rails, toilet roll holders and even simple ideas like adding new bathroom accessories can work well. Or how about adding that power shower you have always wanted? If the budget is more limited, try replacing just the shower head. Around the home, try out new light switches and plug sockets or update the covers. There are many inexpensive options available at local diy stores that will instantly update your home. Another option is to add new door handles to internal doors, much less expensive than replacing the whole door. It is probably best to get a qualified plumber to replace taps and an electrician for the light switch and plugs, so do factor in those costs. A bit of elbow grease can be all it takes to give your home a new look. Power hosing driveways, patios and walls will all make a big difference. And washing tiled floors and polishing wooden ones will add sparkle. If wooden floors are very scuffed you could consider hiring a sanding machine and polishing them up once the scuffs have been removed. Washing windows, loose covers and curtains can give your home an instant lift too, so don’t wait for Spring to do that big clean! Be clever with shelves and storage. From adding under stairs storage to window seats with built in storage or cube storage in the hall for hats, scarves and even shoes. When it comes to shelves, use them to display choice pieces of art or collections along with books. Don’t overfill them, as they say, less is more! 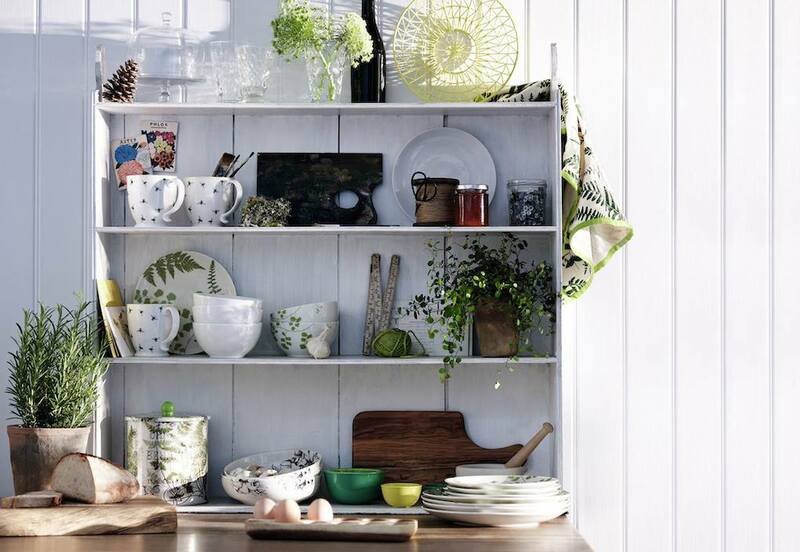 Consider adding shelves over and around doors and inside cupboard doors for storing smaller items like spices. And in the kitchen and dining room use open shelves or a dresser to display crockery and glasses that you may not use every day. This has the added benefit of freeing up space in your kitchen cupboards so you can remove more items from your work surfaces. Updating carpet on stairs or in a room instantly makes it look clean and fresh. Replacing tiles can be a bit more expensive but can update floors and walls. For bathroom and kitchen wall tiles, you can get tile paint. You just need to scrub the tiles well and prime them before you start. You can even get a clever grout pen that makes your grout look like new too. A clever hack is to use mirror tiles in a small room or in a room with no window, they will give the illusion of light and space. 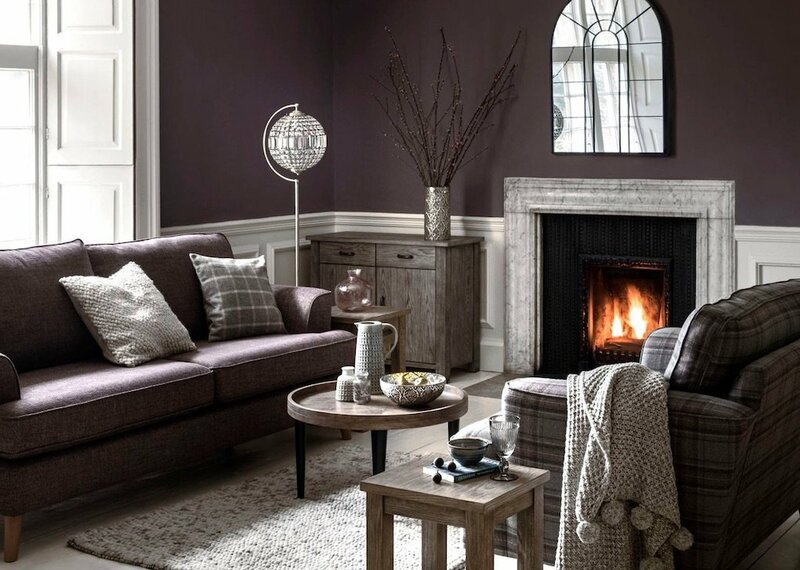 Add a statement coffee table or armchair to your sitting room to give it a new look. For dining tables, a runner, oil cloth or new place settings may be all you need to make it look like new. Chair seats can be re-covered easily or updated with new seat cushions. 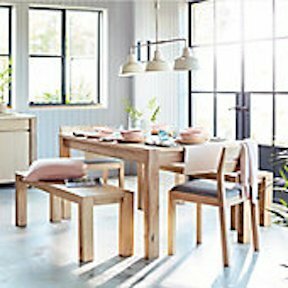 And if the budget allows, consider replacing your dining furniture with an all new model and selling your old one on a secondhand website to help cover some of that cost. If you can’t replace the kitchen but want to have it looking like new, updating the splash back for a more modern one can work well. 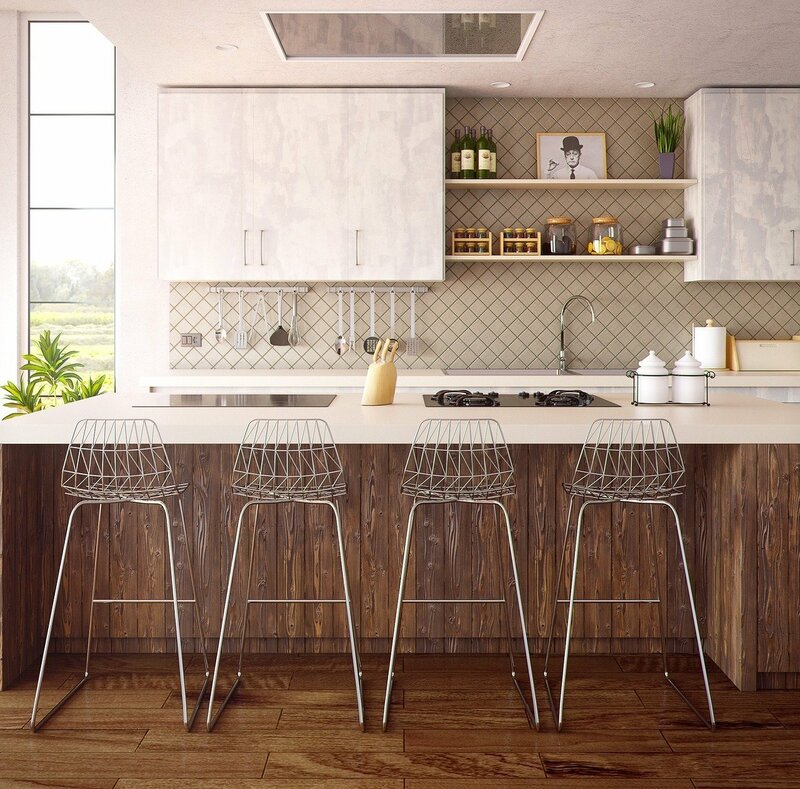 A new worktop may be more expensive but will instantly revamp your kitchen to look brand new. Replacing kitchen cupboard doors or having them painted professionally is also a good way to have your home looking like new for less. And don’t forget, splash backs and surfaces in bathrooms can also be updated to look like new too. Moulding added to ceilings helps to make them look like new. It can be added easily and painted whatever colour you wish. Panels are also a good way to add interest, whether you opt for full panels or half panels they can be used to create a two tone colour effect to walls. As an alternative, consider adding beading around your wall to create a shape that can be painted. Similar to adding panels to a wall, how about dividing up the wall with a dado or picture rail? The rail can be left in a natural wood colour or painted to add a pop of colour. Once in place, you can paint above and below in slightly different shades of the same colour or go for a complete contrast. 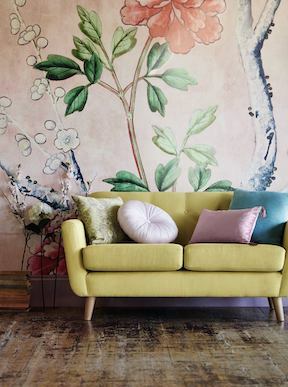 This is a good way to experiment with colour but not cover the whole wall in one striking colour. Picture rails are placed near the top of your wall and it can be nice to add a hanging string to sit on them above any pictures or prints you may have hanging below. 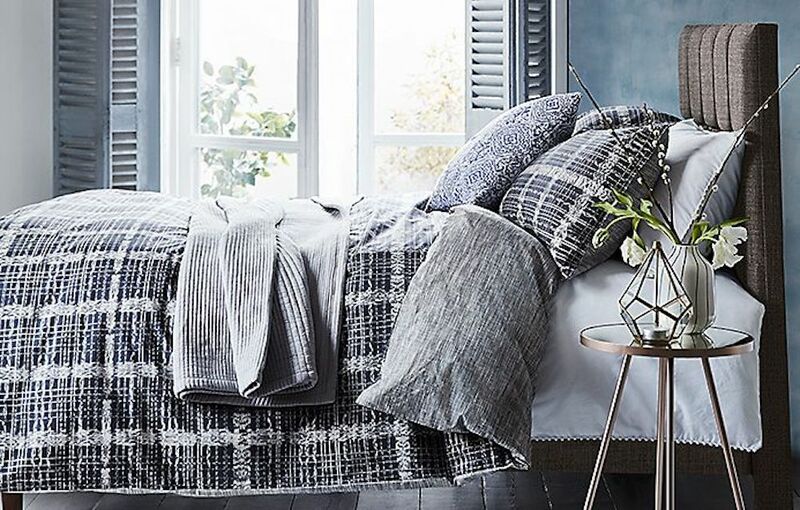 Invest in some new duvet covers, pillows and duvets to instantly update bedrooms. To add a touch of luxury to your beds, add cushions and soft throws too. Bathrooms can be instantly updated by splashing out on new hand towels and matching mats. Over to you now. I hope these ideas to give your home a new look for less have inspired you. Be brave, not all your ideas will work, but you will have lots of fun trying them out! 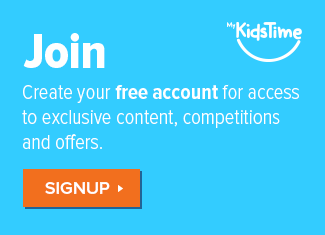 And if you would like to add to our list, simply add your idea to the comments below.